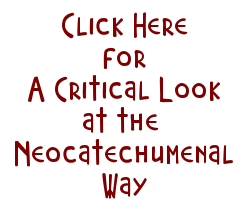 JungleWatch: WHICH RESPONSABILITY OF THE DIOCESAN BISHOP ON THE NEOCATECHUMENAL WAY? 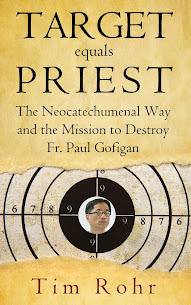 WHICH RESPONSABILITY OF THE DIOCESAN BISHOP ON THE NEOCATECHUMENAL WAY? 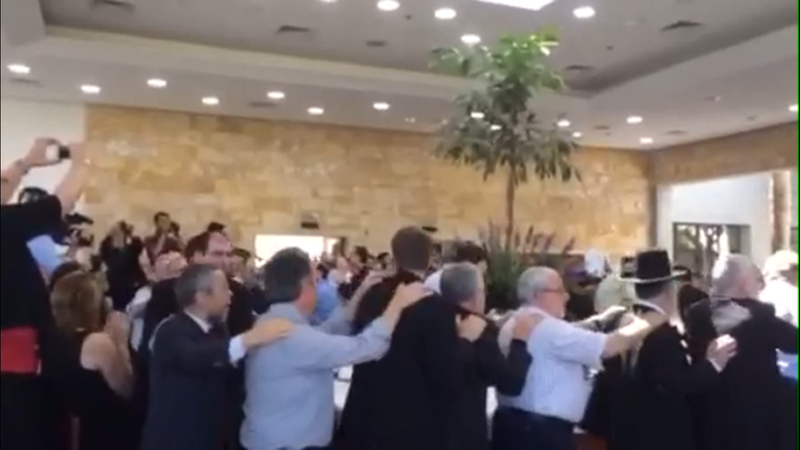 When the Neocatechumenal Way lands on a parish, the catechists introduce theirselves as "being sent by your Bishop". They use to repeat it continually, as well as other modal sentences like: "in the Name of the Bishop...we say/we ask you for/we order you", "through us, your Bishop...", "Bishop allows us to...", etc. Neocatechumenals use the Bishop as a SHIELD, as a SAFE-PASSAGE by their convenience. More or less as well as they use the Popes. Popes, cardinals, bishops, parish-priest....they are just the institutional side. Kiko is over institutions. Kiko is like the apostle Paul, the spirit, the charism in front of Peter, the rock, the institution, the structure. 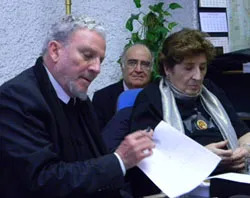 Kiko Argüello started the Way being a hard anticlericalistic, the Way is very anticlericalistic about clergy (do not confund that with Redemptoris Mater priests, they are not clergy), but when is needed, for the picture or the press note, Kiko loves the Pope and he appears to be a loving servant. All of us who had been into the Way for many years know well how are things from closed door into the room. PURE THEATRE. That is why the Way runs fastly with a bishop or cardinal who supportes the NCW but never moves a finger with bishops or cardinals who do not want it. And that is why Redemptoris Mater are as another lay brother of the community, but dresses different to preside celebrations. In Spanish we use to say "llevar en palmitas" which means to carry somebody on your loving hands with pampering. The Way's behaviour or attitude absolutely depends on the like/dislike button pushed by the bishop or cardinal or vicar or whoever. If he let them "carry him over their so loving hands", they, Kiko and his hostes, will be with him til death. Did you remember Cardinal Osoro, archibishop of Madrid? In past years, he was more complacient with the Way, then he was "one of them". But when he arrived to his actual charge to relieve Cardinal Rouco, who was the real Goodfather of Kiko and the Way in Spain as in Vatican, and he said NO to Kiko's Family Day Circus, then A-U-T-O-M-A-T-I-C-A-L-L-Y lost his chair. By the way, Cardinal Osoro presided Carmen's Funeral, as you remember, and few days after he joined WYD in Poland with pilgrims from his diocese. He did all pilgrimage with them. Of course, they were not neocatechumenals. Did you see him among Schonborn, O'Malley, Rouco and others when Kiko's vocational meeting? Of course, NO. Anyway, it is quite difficult to find any bishop or cardinal who openly, in front of flashes, and publicly will say NO to the Neocatechumenal Way. The most do not dare. And a few do regognize in private they can not do anything about it, because "it comes from Rome" they have to eat the Way, like or not. So, the ordinary catholic finds himself in front of a mega-structure, the Church hierarchy, who fest with the Way in Domus, who allow the Way to love them with all-included and all-free travells and with all those things many people know but can not be said. Any cardinal nor bishop looses a pen/a cent with the Way. And all of them earn. 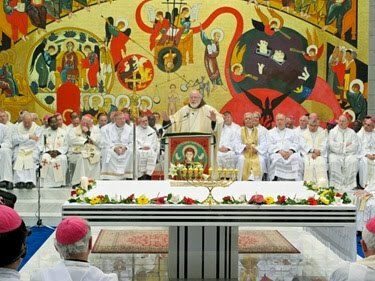 The Way entertains cardinals and bishops, Kiko has spoken about it openly. It is a question of using for the good the unrighteous mammon. So simple. Of course, it is very nice to wear a habit of sack and to say you have visited the Domus without paying a penny, at least you live in your poverty's vow (wwwooooowww! ), exactly as Kiko does! But I payed for that Domus a lot of money from my pocket, dear cardinal. From money my husband and me did not spend in our family. As me, thousands and thousands of good willing people who gave their money for you and many as you. If I had known before those money efforts will be enjoyed by so poor cardinals eating, drinking and smoking as Maharajas in Domus, of course I will not had given a cent of euro. NEVER. I did stop my helping money for Redemptoris Mater Seminars when I noticed by my own eyes how do they live: the last iphone, the most expensive tobacco brand, the last of everything. To hell! I have just found this pastoral letter from a brave bishop in Japan. It is the first time I know which reasons were given by a diocesan bishop to justify why he does not like or want the Way in his diocese. And reasons given in this letter made his election very comprehensible for any intelligent person. The problem comes when "to be or not to be" is not allowed from upper. It is quite sad to verify that, at the end, with own Statutes of NCW in hand, bishop has to eat it. So, Statutes are like wc paper. Statutes say the bishop.............and the bishop.......because the bishop.......BLA-BLA-BLA. Statutes are like sack-habits of some princes of Church, just a cloth. A good wraping. All we know what did have to do Bishops from Japan with the Way at the end. Despite it, I wanted to remain this letter because it points where we have to focus on: bishop. If bishop is for good, even if for pain. The Way shows a potatoe homelet, OK, let's turn that homelet in the pan. Because the same homelet has two sides...Bishop, were are you? "There is a group of faithful of the Diocese of Niigata who live their faith in the Way: first of all, like to stress emphatically that we have much to learn from them, they are serious in their practice of faith. Incidentally, there are two priests of the Diocese of Takamatsu trtabajando in Niigata with our diocesan priests. With regard to these priests were sent to Niigata as priests "fidei donum" according to an agreement between the bishops of Takamatsu and Niigata and understand that they should not have anything to do with the Way, since they have their destiny in parishes of the diocese of Niigata. 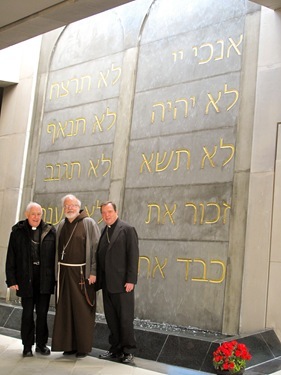 In accordance with Section 2 of Article 1 of the Statutes of the Way "The Neocatechumenal Way is at the service of the Bishops as a form of diocesan implementation of Christian initiation and permanent education in the faith". Later, in Section 1 of Article 26, the bylaws stipulate the responsibility of the diocesan bishop to "authorize the implementation of the Neocatechumenal Way in the diocese". So, it is my duty as Bishop of Niigata decide whether to use the Way as the "Christian initiation and permanent education in the faith" form for my diocese, Niigata, or not. At this time, I will not use the Way as the way of Christian initiation and ongoing faith formation in the Diocese of Niigata. Besides, I have no intention of using it in our diocese in the near future. Already in my first pastoral letter "Varietatis unitas" I set my top priorities for the parish formation as follows: "I do not agree with using pre-established methods or specific movements for the formation of the parish communities of the Diocese of Niigata". Realistically with the current situation of the diocese, it is a clear fact that our parish communities are very small in number of faithful. It is much more convenient for these small communities be united in one direction and move together, rather than divide them into other much smaller groups. Also, for evangelization in the local situation, as a small minority group, leading a life of witness to Gospel values ​​through our presence as knit communities that pray together and assist each other, this will be the best way to do what. For the same reason, I do not think that liturgical celebrations, especially the Sunday and Holy Week, held separately from the parish communities, they are convenient for our diocese. Of course, with permission from the priests of the parish, you can allow any group to organize their separate liturgies of parish communities only on special occasions like retreats or conferences. As we consider the possibilities of evangelization and the future of our parish communities, we can not avoid having to cope with changes. What would convey this matter is that we have to rethink ourselves, our way of forming parish communities. We have to think this over and over again, how should be changed to better follow the reality of the modern world, how to proclaim the gospel and how to live gospel values. Unless each of us is invigorated by the spirit of the gospel in our respective lives, no methods or movements that can revitalize our respective parishes. Pray that the Holy Spirit will guide our diocese and the Catholic Church in Japan". 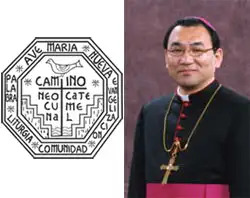 Sounds like this Bishop from Japan has a good head on his shoulders; that he has done his research and has put his foot down NOT to allow the ncw to separate his parishioners into smaller groups as the preferred neo way. He wants his parishioners to be united and move in the same direction! Sounds like a Real Shepherd! This organization within the church here on Guam is looking more corrupt evil day by day. what does our pope have to say about this? 12:01 What do YOU have to say about this?